Take The Challenge! Be Surrounded by Gratitude! 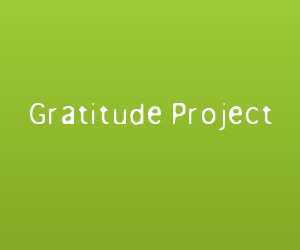 Want to be surrounded by gratitude? Want to belong to a group of like-minded people? People who believe in positive attitudes and choice. You can belong to a group like this, now! The Gratitude Challenge is a 30 day challenge designed to immerse you in gratitude, encouragement, and love, to raise your vibration so that you will learn to be joyful and continue every day to reach for better thoughts! And when you take the challenge you will be added to a group filled with others who want to strive to be their best! Through simple daily exercises that take no more than a few minutes, at various times throughout your day, you will learn to be more grateful for what you already have and learn how helping/loving others is the key to everything! When you encourage another person you are helping them. When you send out prayers or good thoughts for another person, you are taking a few unselfish minutes and devoting them to another. That is powerful! And it will knock down any walls you may have built up around yourself, walls that may be stopping you from living your best life! Gratitude breeds love and caring for others. It just does! I know sometimes we have problems that seem bigger than life itself! And it can be difficult to figure out what the problem is, we feel like we are being sabotaged at every turn! We just do not know how to turn things around! I believe if we shift our focus away from our problems, as hard as that may be, we can not only get some perspective, but we can open a window of opportunity for growth! We can learn to help others to help ourselves! I believe the choices we make when we are facing problems determines just how long we stay in the weeds and just how bad those weeds may get! At the very least learning to appreciate things, even when times are hard, will sustain us a lot more than worry and fear! Ask to be added to the Challenge Facebook group! You can also visit the challenge page for more info!